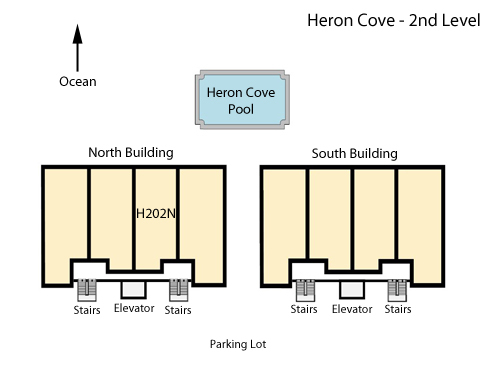 Welcome to Mermaids Cove … or Heron Cove 202 North! Each year we strive to make our special place, your special place. We love our ocean getaway and we want you to love it, too. Take deep breaths … go for long walks … watch the sun rise … see the dolphins swim and the ocean change moods from the large, tile balcony … experience the colors of sunset. Relax. Enjoy. You’re on vacation! 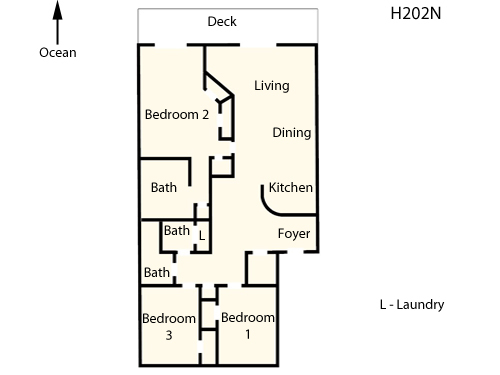 Large tiled balcony with a great ocean view and with lots of furniture. Password protected WiFi. Ground floor storage unit for your beach chairs and toys. Convenient to shopping and to great dining experiences. Parking for 2 cars, Non-Smoking, No Pets. Loved our week on OBX, even Hermine was an interesting experience! Mermaids Cove is spacious and comfortable with a great kitchen and a huge selection of books, movies and games. She's beginning to show her age a bit, could use some TLC to bring her up to date and make her fabulous! All in all a terrific week!